Having received a grant from the Nelsonspirit Future Leaders Fund, Future Leader Elizabeth travelled to Zimbabwe with Restless Development. 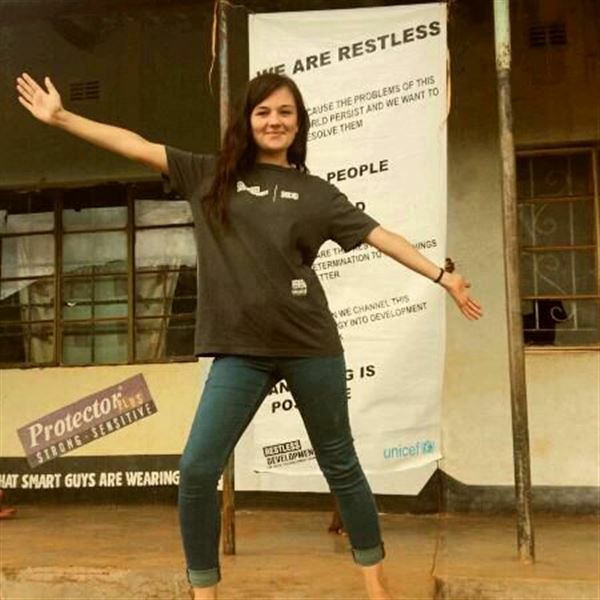 "I volunteered with Restless Development as part of ICS for 3 months in Zimbabwe in the rural community of Biriri. I was part of a team of four, comprising of two UK and two Zimbabwean volunteers. Together we tackled the issues of sexual health, reproductive rights and employability skills, targeting the youth in the area. Through this opportunity, I was able to gain so many new skills, but more importantly I gained confidence in the skills I already had. The experience in organising awareness campaigns whilst planning and teaching lessons in a school taught me to make the most of my time and enhanced my decision making skills. It has encouraged me to take a challenge head on and the value of working through the difficulties that come with this." Congratulations Elizabeth for completing your time in Zimbabwe!! We are delighted that you gained so much from your experiences! !